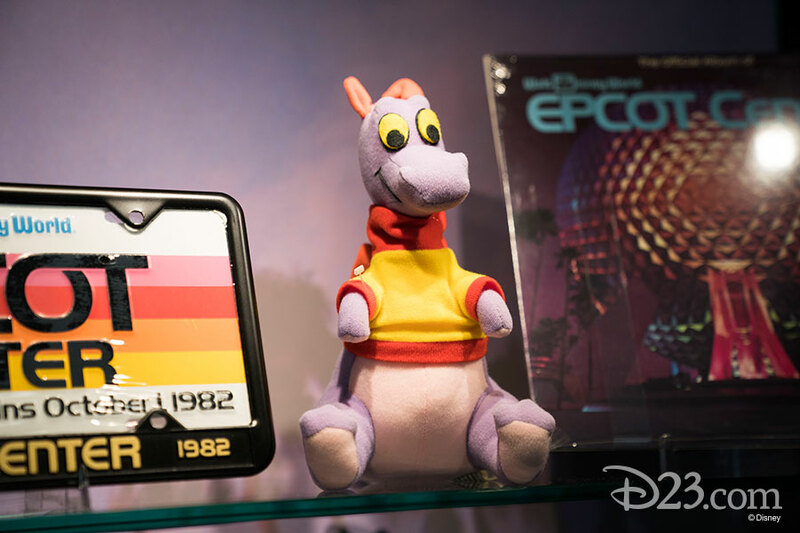 In the 35 years since Epcot welcomed its first guests, visitors have journeyed through space, across time, into imagination, and around the world. 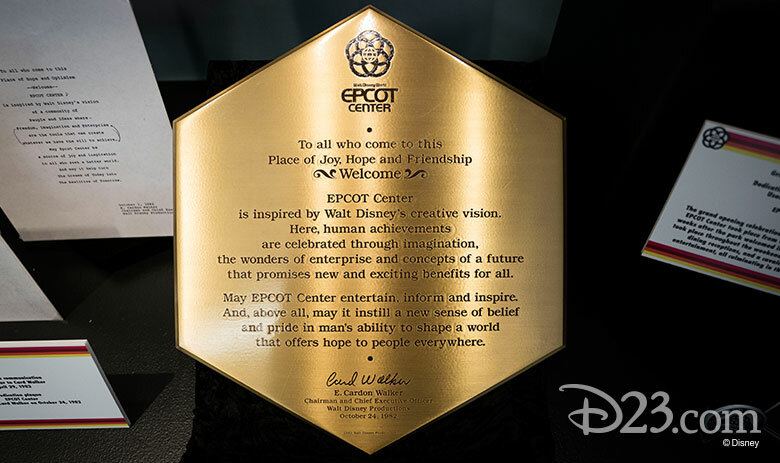 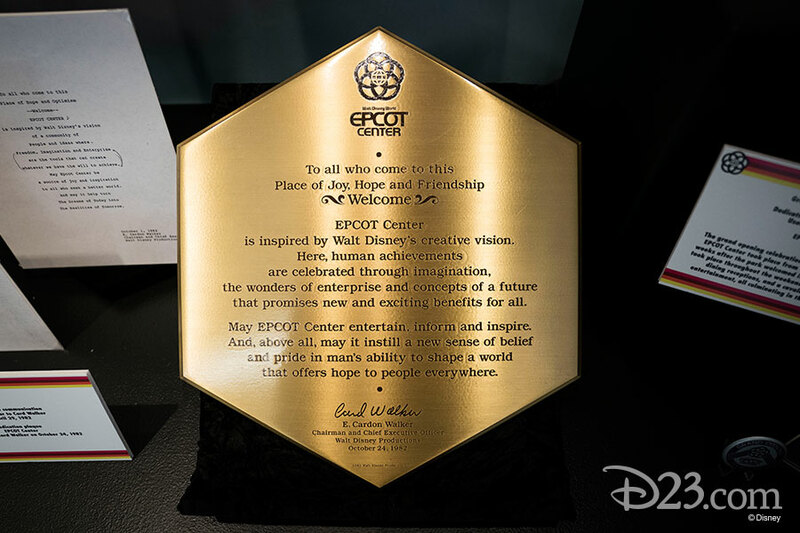 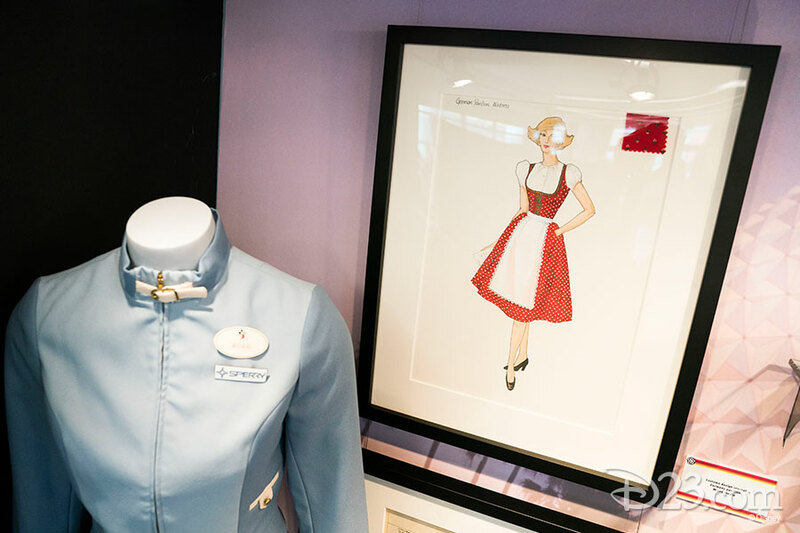 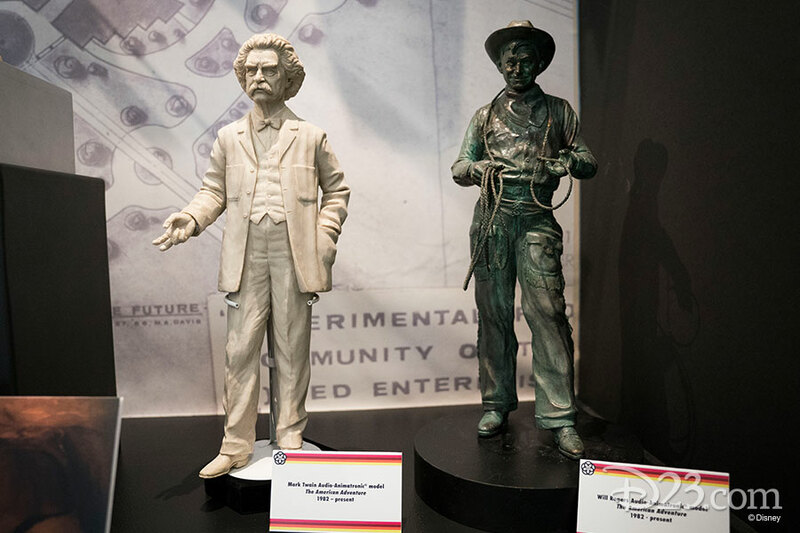 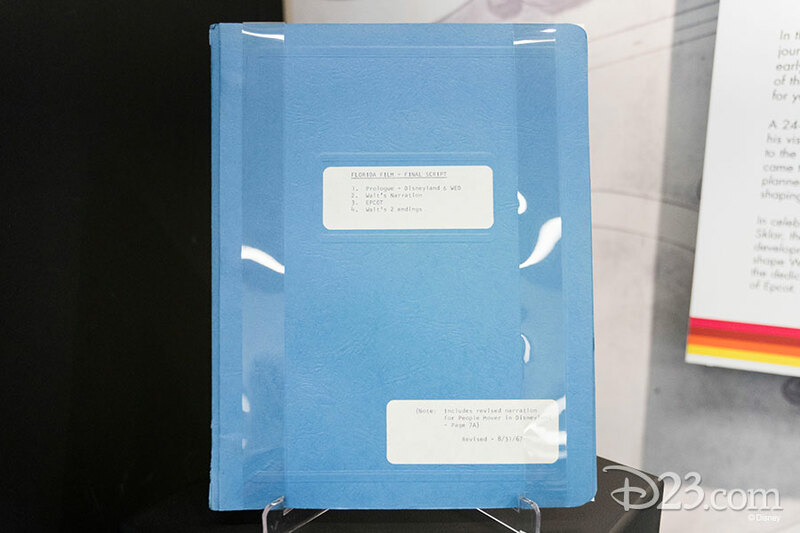 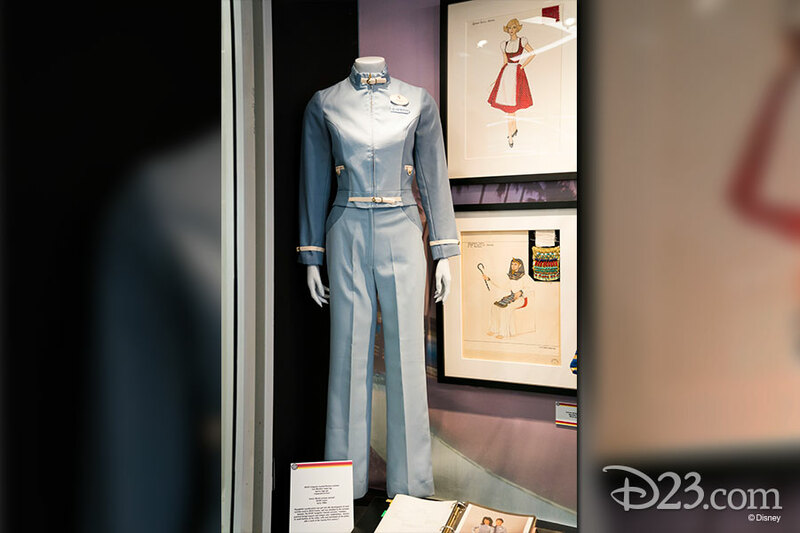 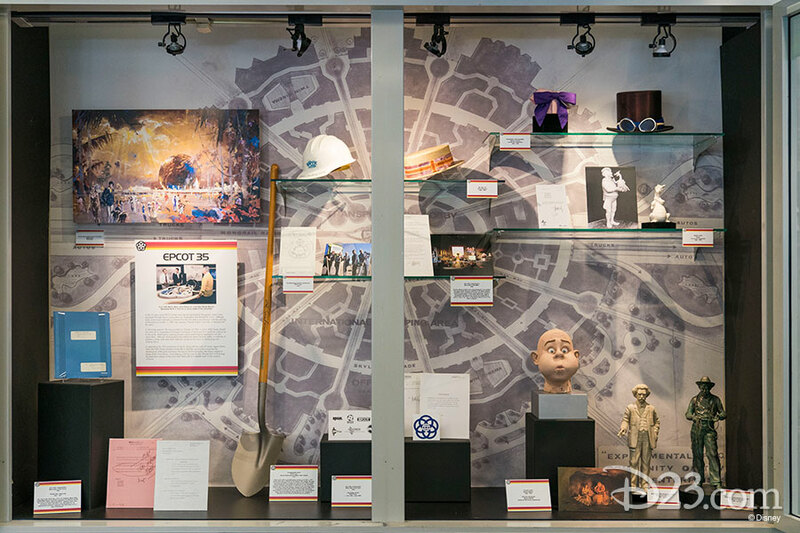 To commemorate the 35th anniversary of the park’s opening, the Walt Disney Archives has unveiled EPCOT 35, a new display in the Frank G. Wells Building on The Walt Disney Studios lot. 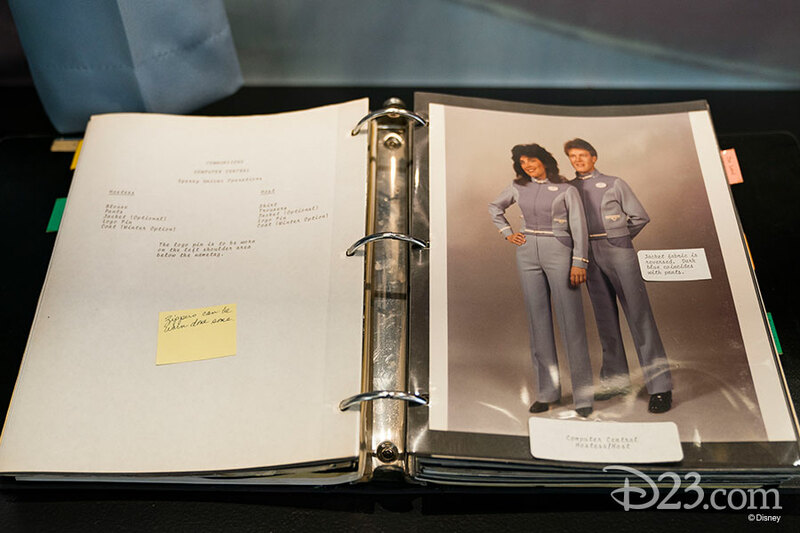 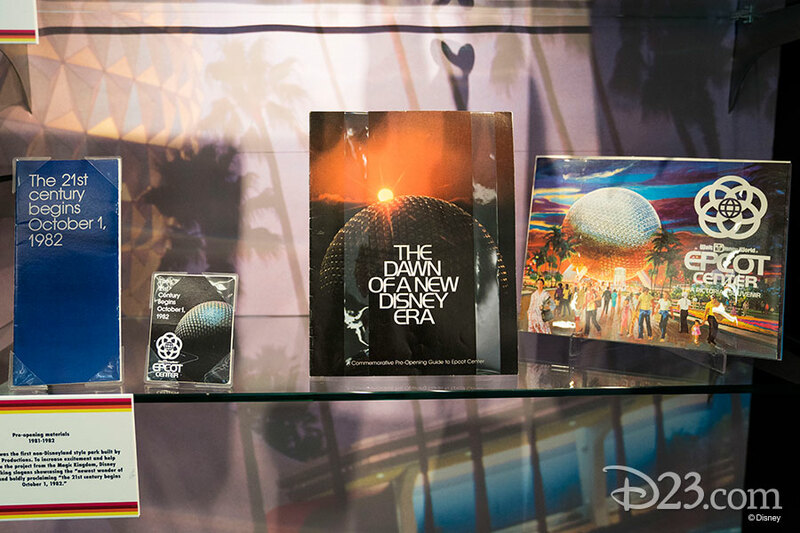 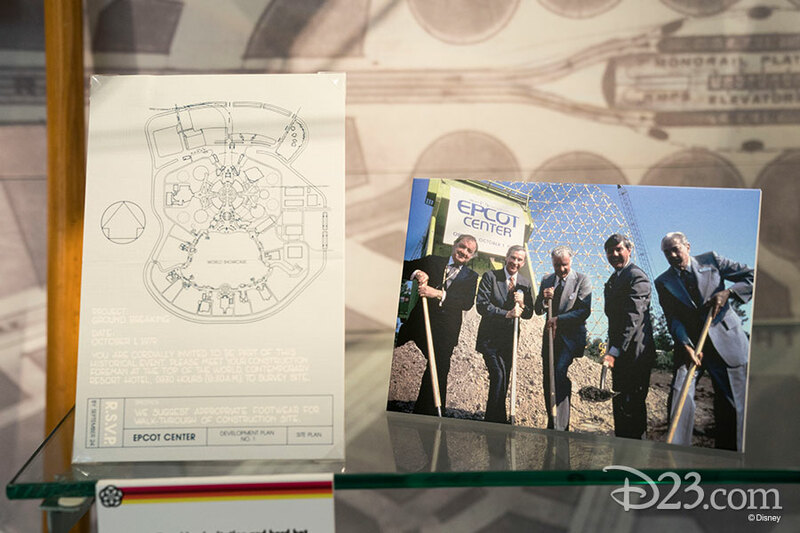 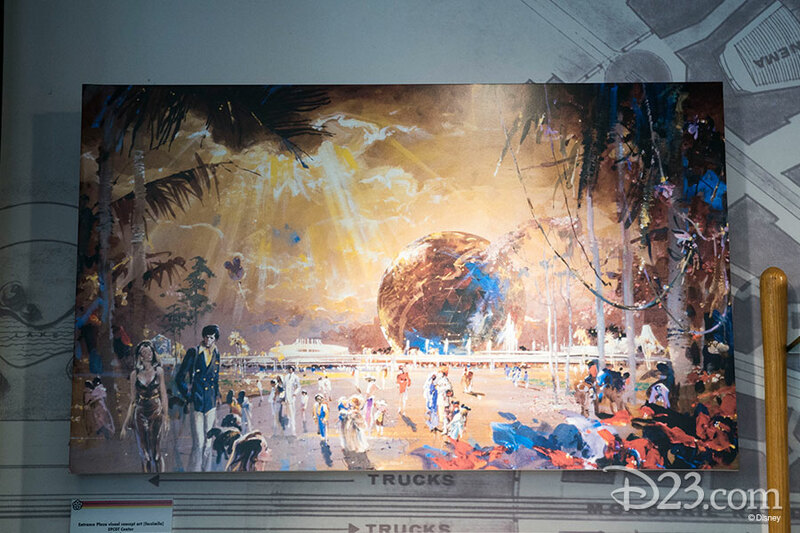 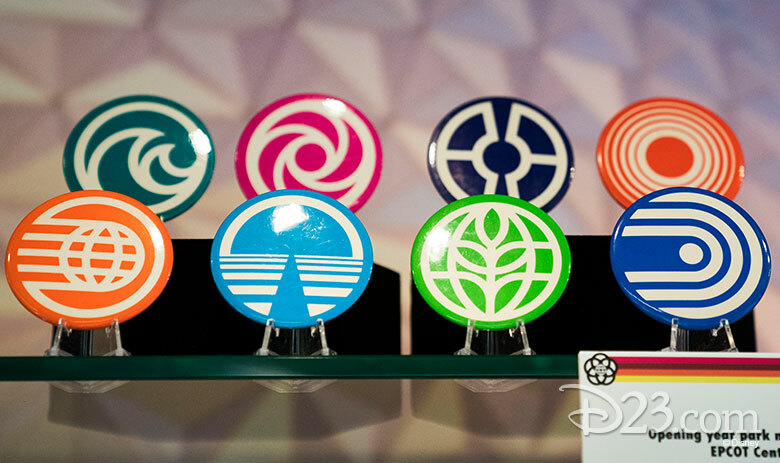 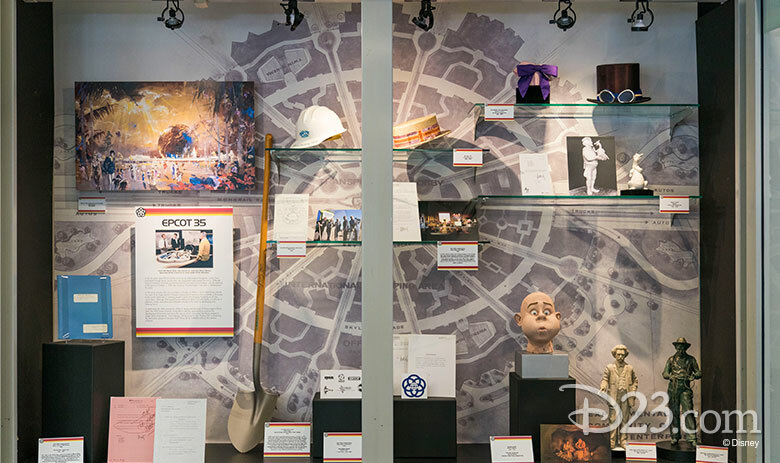 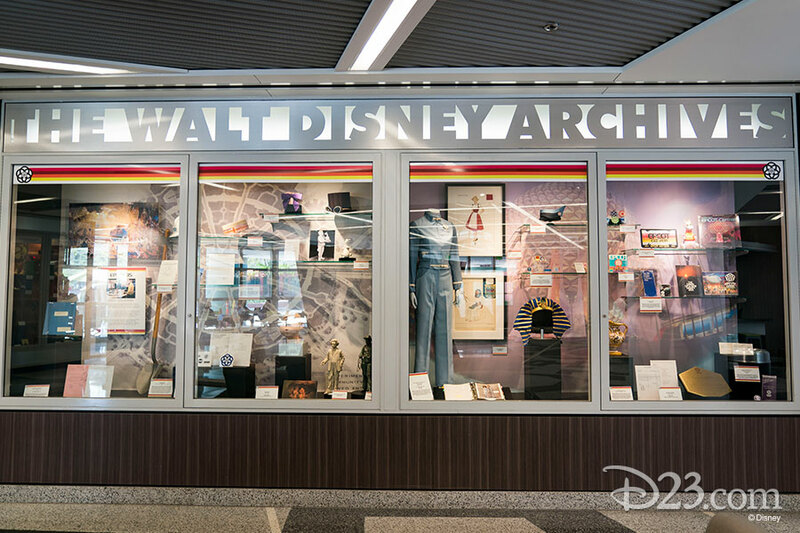 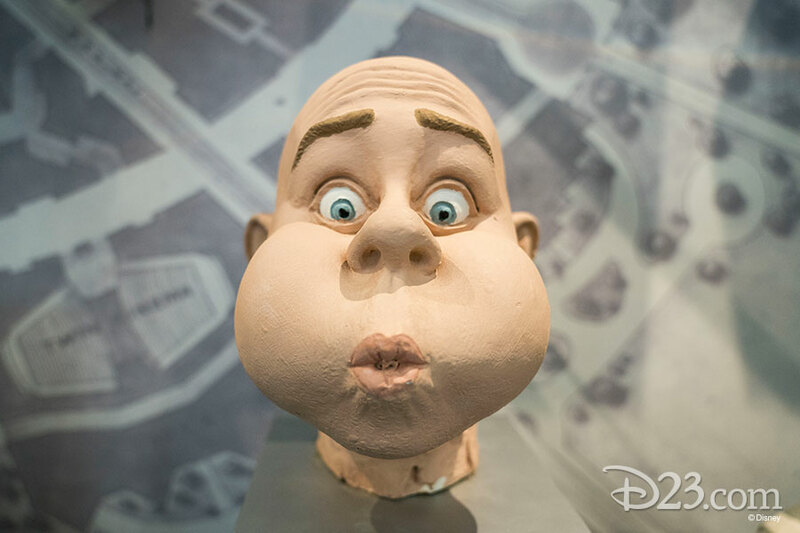 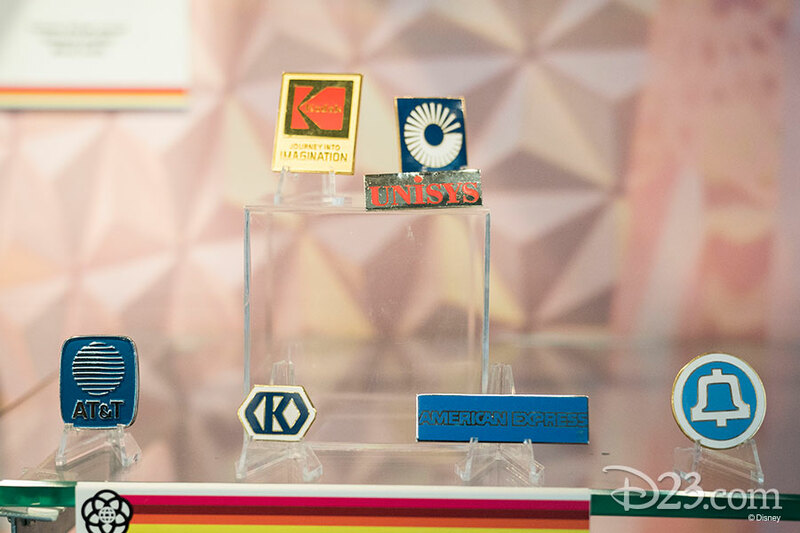 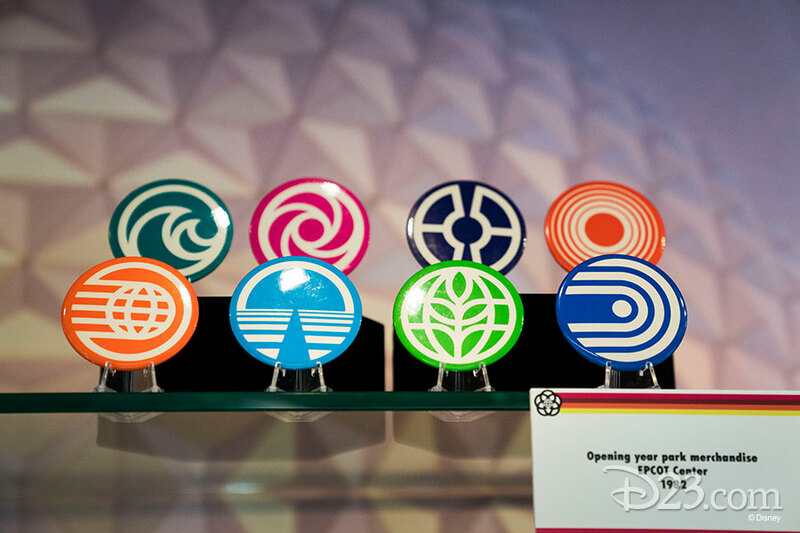 To help showcase and celebrate the early days of Epcot, the two large display cases outside of the Archives’ offices have been arranged to tell the park’s overall story—from concept to reality. 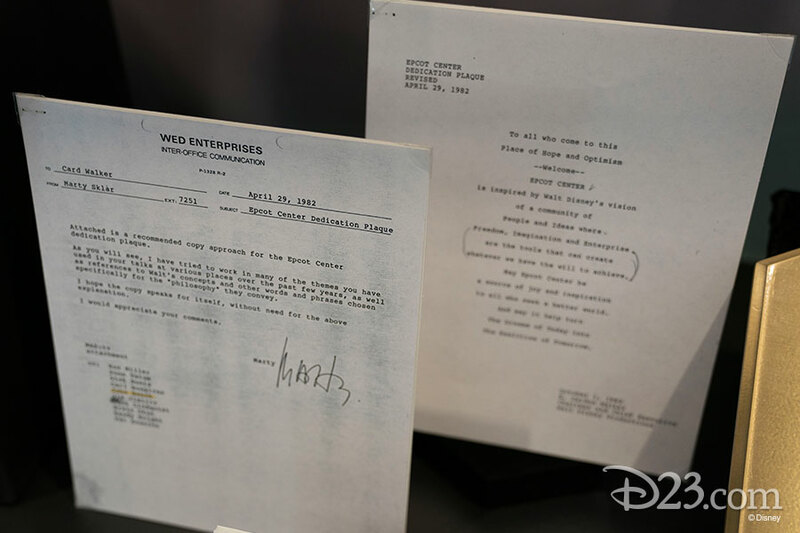 The park’s origins are highlighted with a 1966 memo from Walt Disney to Marty Sklar in which Walt gives his signature of approval to begin what would eventually become the final script he used for the “EPCOT Film”—an important step in communicating the ideas for what EPCOT, the community, could become. 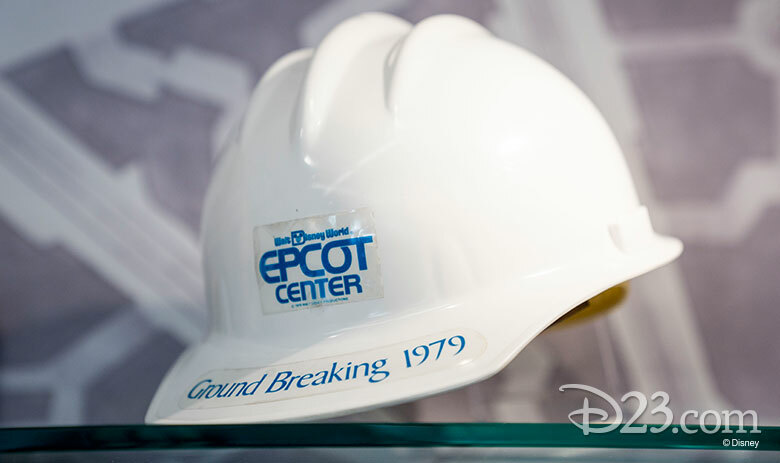 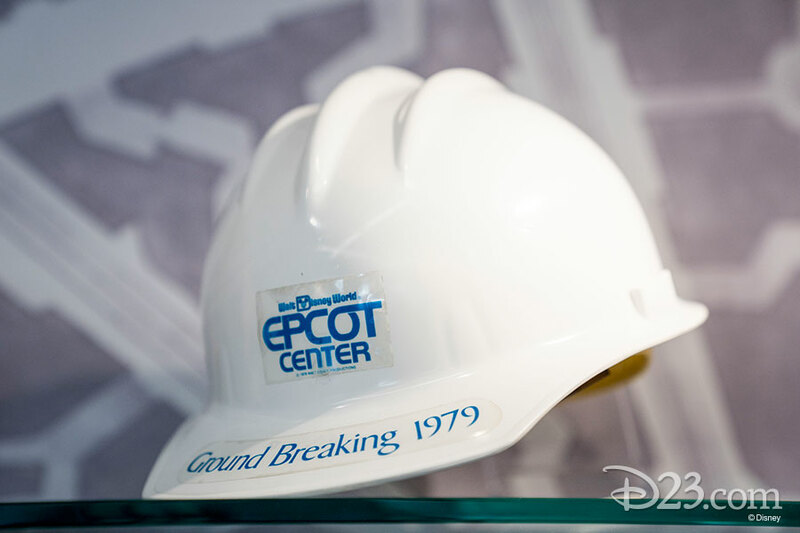 Moving into the park’s 1970s development, the display also features a collection of materials related to the groundbreaking ceremony of the Epcot construction site in October 1979: a hard hat (pictured above), event invitation, and even the shovel used by then-Florida Governor Bob Graham as he posed for publicity photos alongside his four predecessors in office, as well as Disney Legend and then-company President and Chief Executive Officer Card Walker. 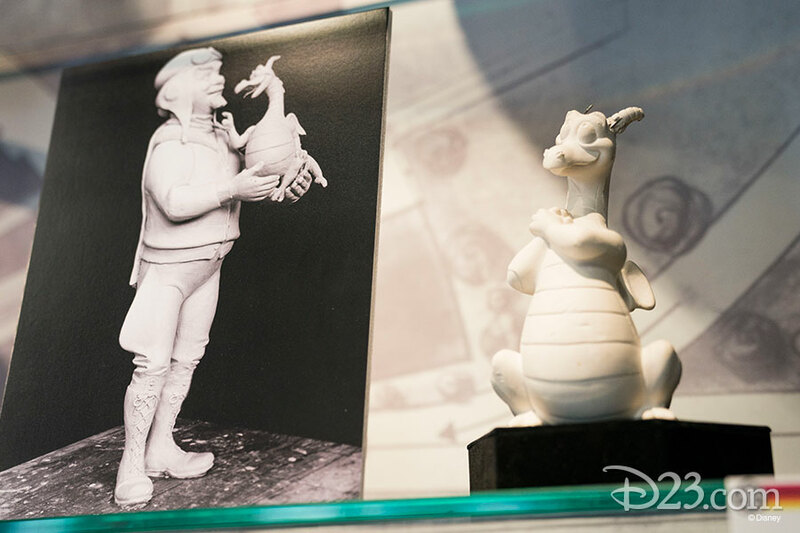 Characters are the focus in the next stop of the exhibit. 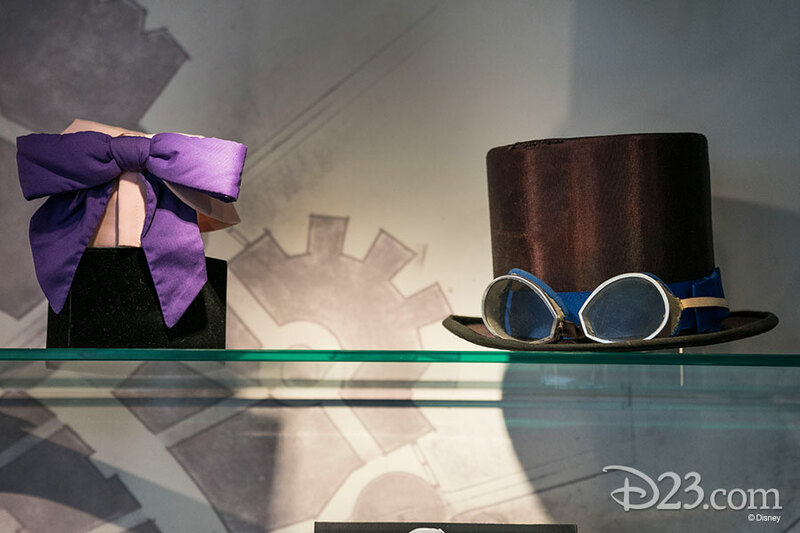 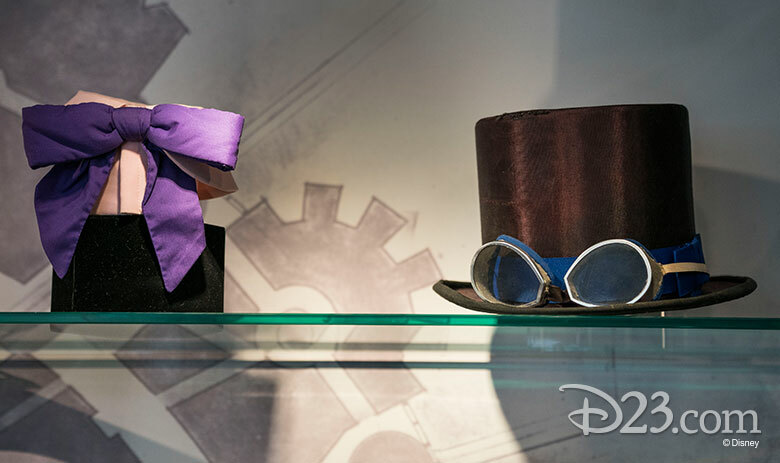 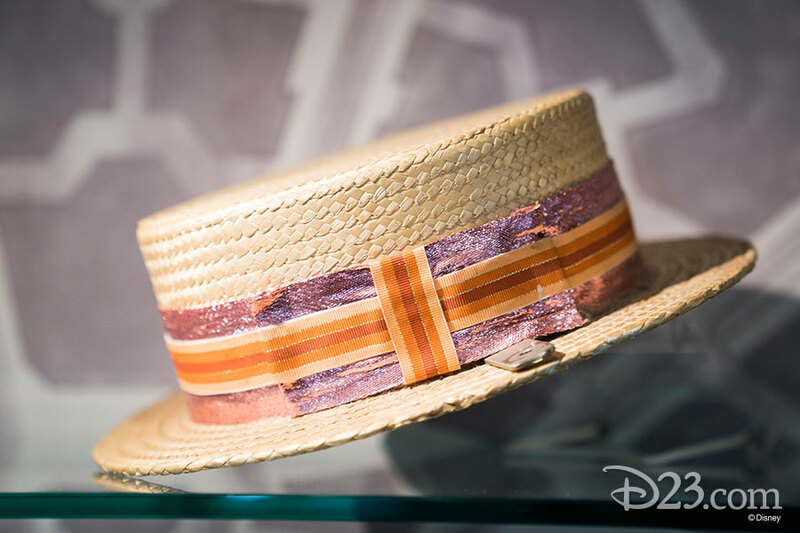 Fans of Epcot will delight in seeing Mr. Eggz’s hat from Kitchen Kabaret, Figment’s bowtie and Dreamfinder’s hat from Journey Into Imagination (pictured above), plus maquettes from The American Adventure in World Showcase. 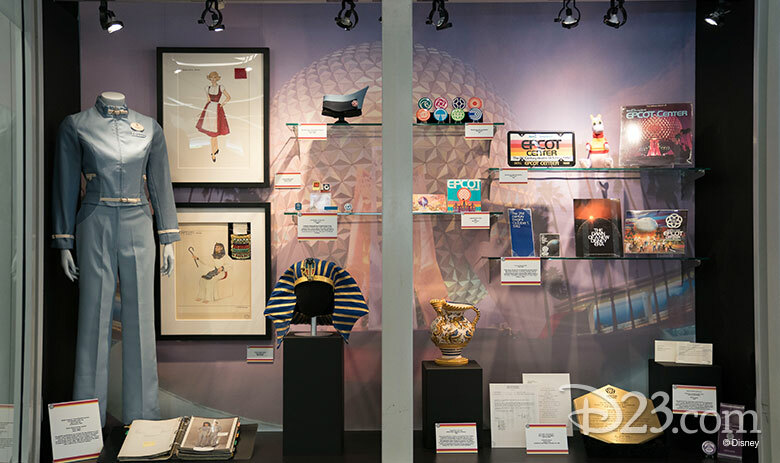 From the dawn of man to the 21st century, Epcot features thousands of costumes for cast members and Audio-Animatronics® figures alike. 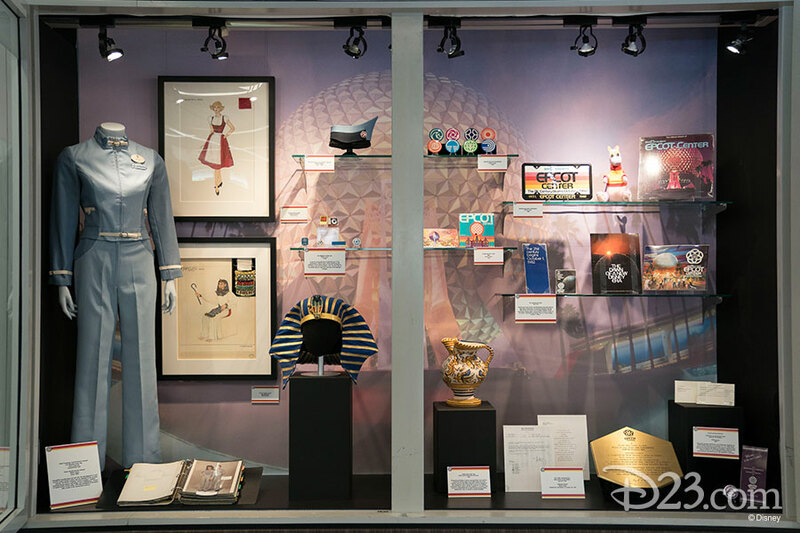 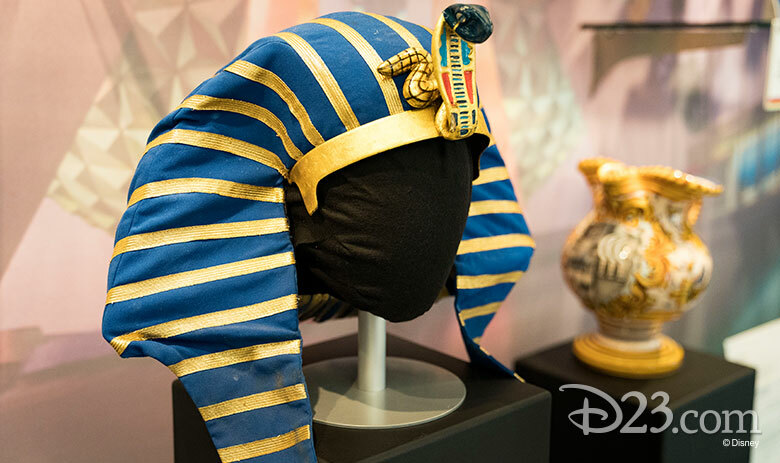 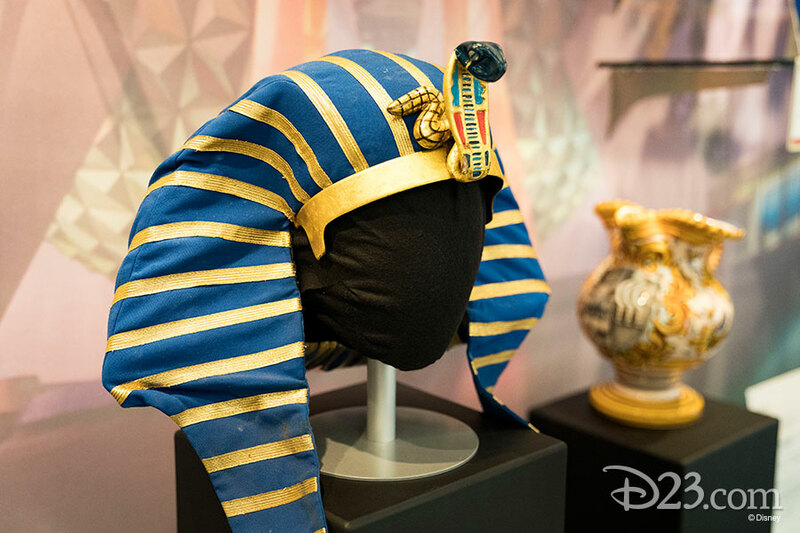 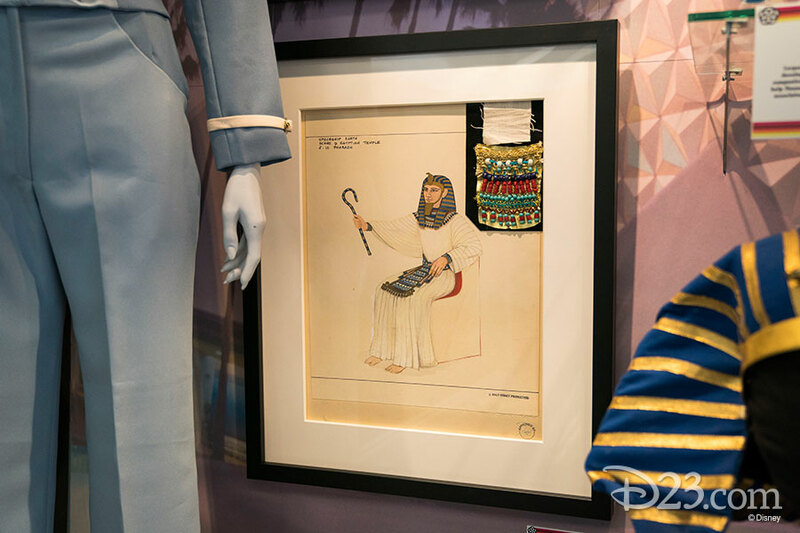 This third stop in our story contains a cast member costume from EPCOT Computer Central, the headdress worn by the Egyptian pharaoh in Spaceship Earth (from 1982 until a new headpiece was used in 2007, pictured above), and its corresponding costume sketch with a signature of approval from Disney Legend and then-Executive Vice President of Walt Disney Imagineering John Hench. 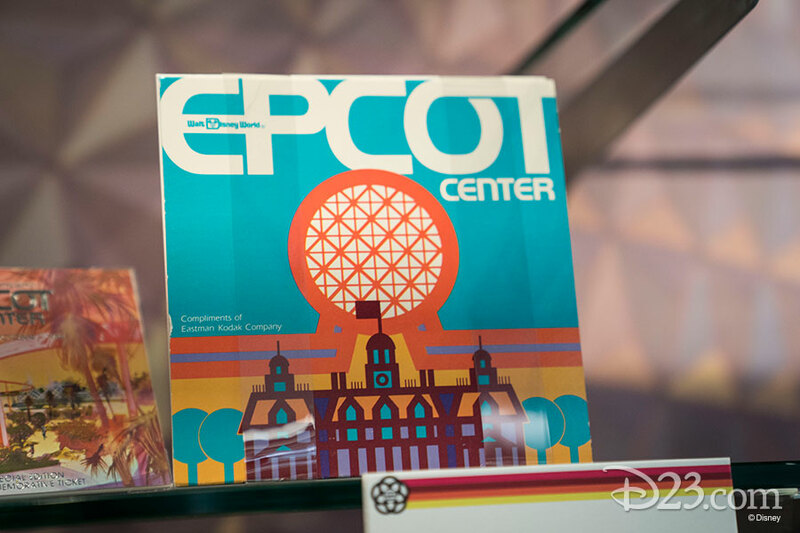 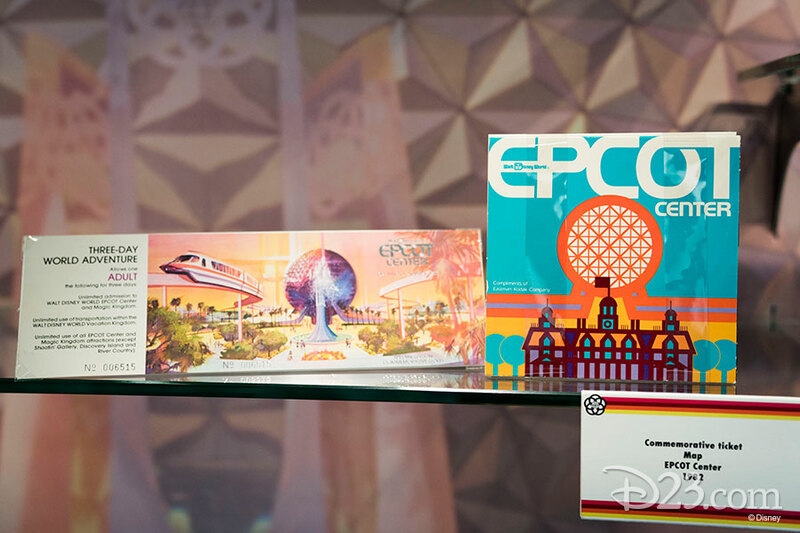 The exhibit’s final stop explores the opening year of Epcot. 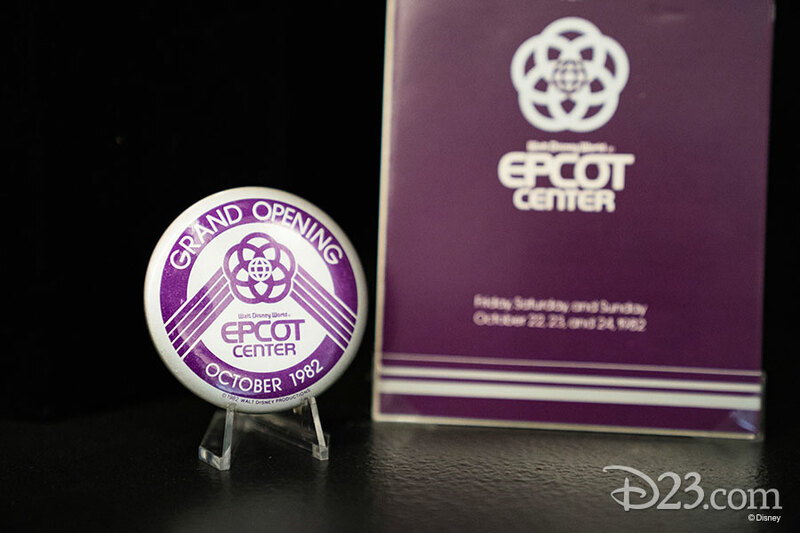 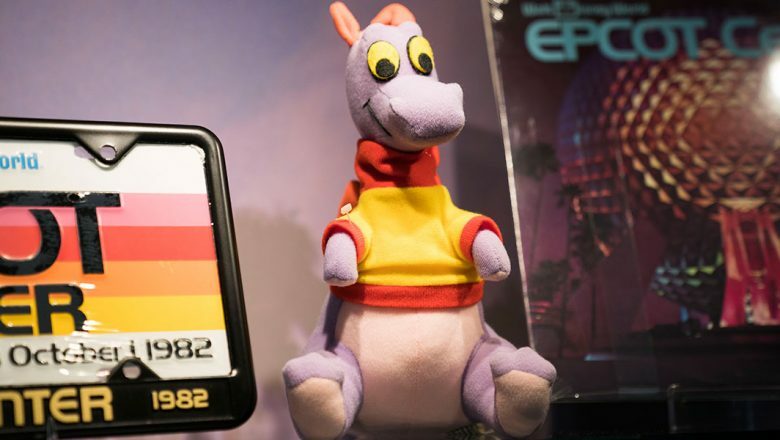 Early merchandise, such as a Figment plush toy, a vinyl record, and pavilion logo buttons (pictured above), create a colorful and optimistic aesthetic the destination became known for. 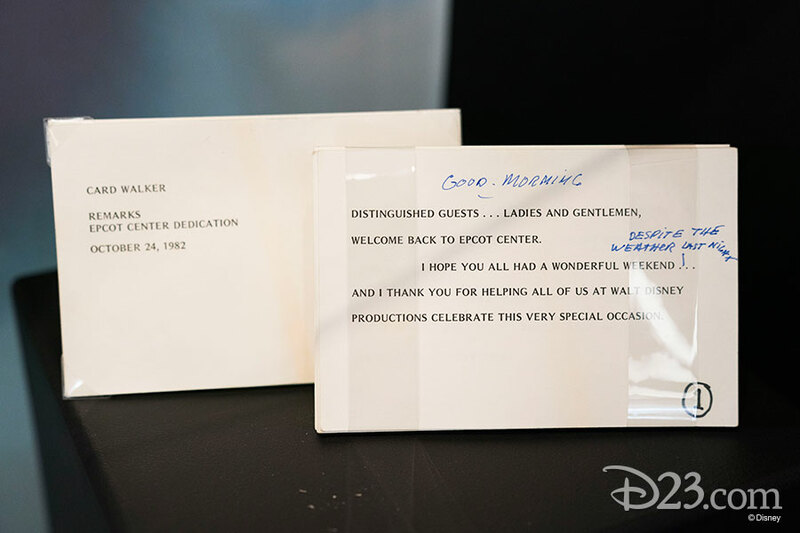 Also displayed are items from the park’s October 24, 1982, dedication ceremony, including the original dedication plaque (pictured below) and notecards used by Card Walker.